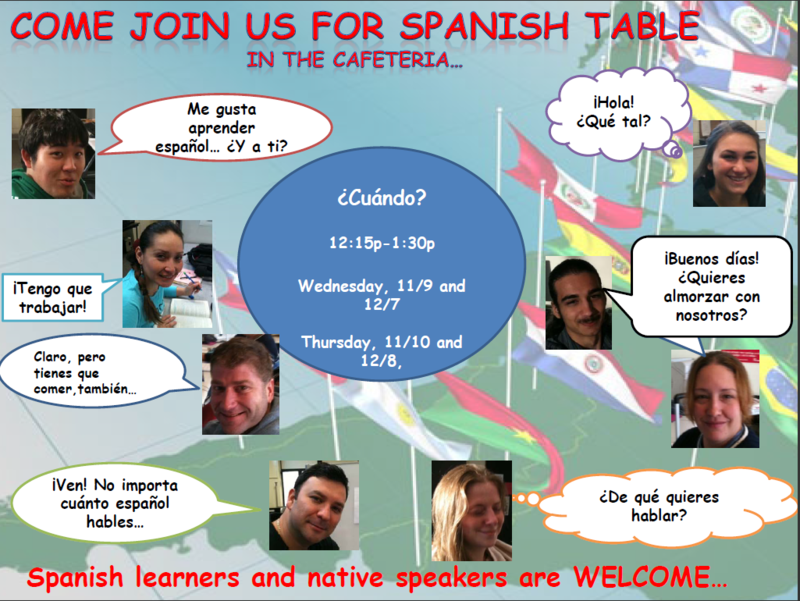 Spanish Table ~ Mesa de español: Wednesday and Thursday, this week! and Thursday, December 8th in the cafeteria! ¡Ven a la mesa de español! Make sure you have someone take a photo of you… Send it to Profe!